Farewell to Sully and Travon! Today we say farewell to two of our student interns who are leaving for the summer and graduating in August. Suleima (Sully for short) is graduating with her Bachelor of Business Administration degree in Economics and Accounting. Travon is graduating with his Bachelor of Science degree in Computer Information Systems. Both have been able to provide many much-appreciated web updates to our website, calendar system, and online campus map. They have each discovered talents within themselves and have been able to develop skill sets that they will be able to carry on in their careers. 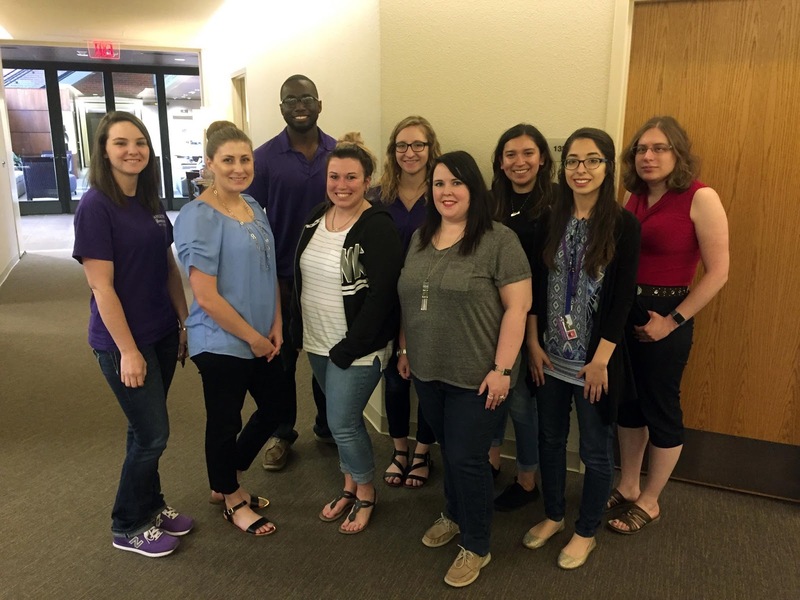 Their work and dedication has been noticed by others in the Tarleton community, and their presence in the office will very much be missed. We wish them well on their post-graduation adventures, and hope to receive updates and an occasional visit from them in the future. Good luck, Sully and Travon! 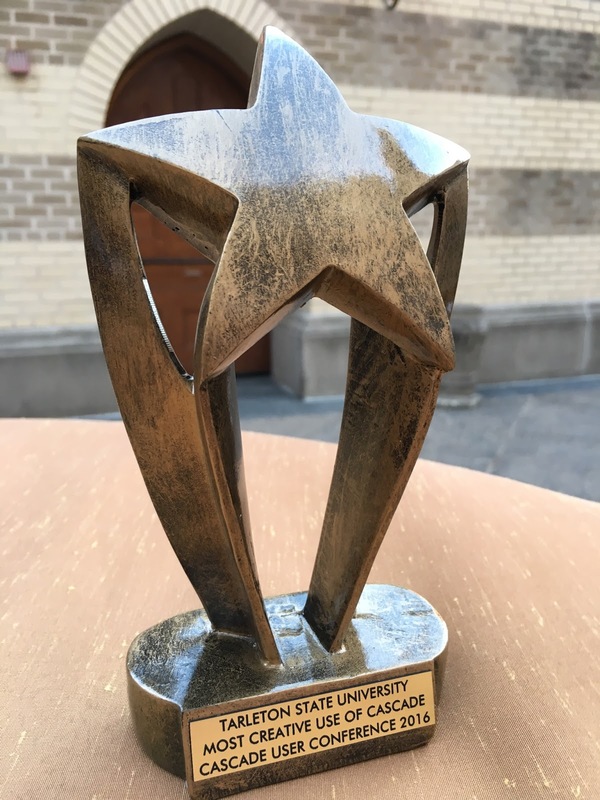 Tarleton's degree search wins an award! I am excited to share that our team was nominated for and won first place in the category, "Most Creative Use of Cascade Server" at this year's Hannon Hill conference. Our nomination was based on the degree search/site our team built for Tarleton's website. "The university uses Cascade CMS to create XML files that are scraped for keywords and custom metadata to enhance search results and better meet the needs of prospective students." To improve the marketability of our degrees and programs, decrease the duplication and inaccuracies in posted degree information, and fine tune the marketing funnel to prospective students in order to generate better, higher leads in our recruiting process, we designed a new degree search/site in our newly responsive layout. We implemented in August 2015, and made the search directly available from Tarleton's homepage. Our desire was to create a shopping experience, allowing students to navigate related degrees and determine what career goals would lead to particular degrees and programs. With the custom search engine, user queries scan the metadata (which includes keywords) that we added to each degree and program. The search mechanism is being implemented in multiple locations across our website as we go through our web conversion, such as our campus location websites, to help users narrow down their searches more easily based on their specific interests or locations. Since implementation, the degree search has been the most popular area of Tarleton's website after the main homepage. During the FY15-16 year, the degree search website received 1.7 million pageviews. Web Services regularly analyzes the visitor data and monitors conversion rates of degree search users to specific program "Request More Information" forms. Results show substantial conversion rates for many degree programs, and as the information on the degree pages is further evaluated and improved, we expect the conversion rates to increase even more. You may view the degree search and try out the functionality at www.tarleton.edu/degrees. Almost the whole Web Services team, minus a couple. My journey working for the Office of Web Services started in January of 2015 when I applied for an intern position the spring semester of my junior year at Tarleton. 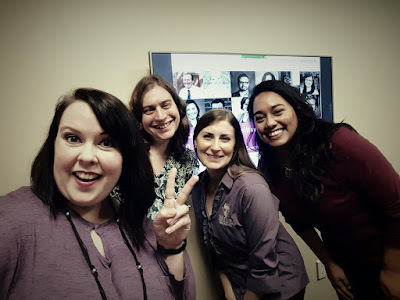 To be honest, I can’t remember how I made it to Web Services, but I’m glad my lucky stars aligned that day and I was given the opportunity to join this fabulous team. In the words of Hillary Duff, this is what dreams are made of. Hillary Duff singing What Dreams are Made of. The first few weeks in the office were a breeze, but it was most definitely nothing compared to what was to come. Working at Web Services signaled the first of many experiences in my life. I was introduced to the 8-5 office environment, which was a blessing. As an intern for the university's event planning program I had no weekends or Fridays to myself and it meant long hours bustling about during the week with no set hours. Therefore, I was ecstatic to learn that I actually had work hours to adhere to. This was the first time I had to interview for an internship or job. I also experienced first-hand the in's and out's of damage control. I learned the beauty of being assertive, and it was here where I became BFF with coffee and sweet tea. In retrospective, the improvements I made not only as an individual but also in my professional aspirations are noticeable. 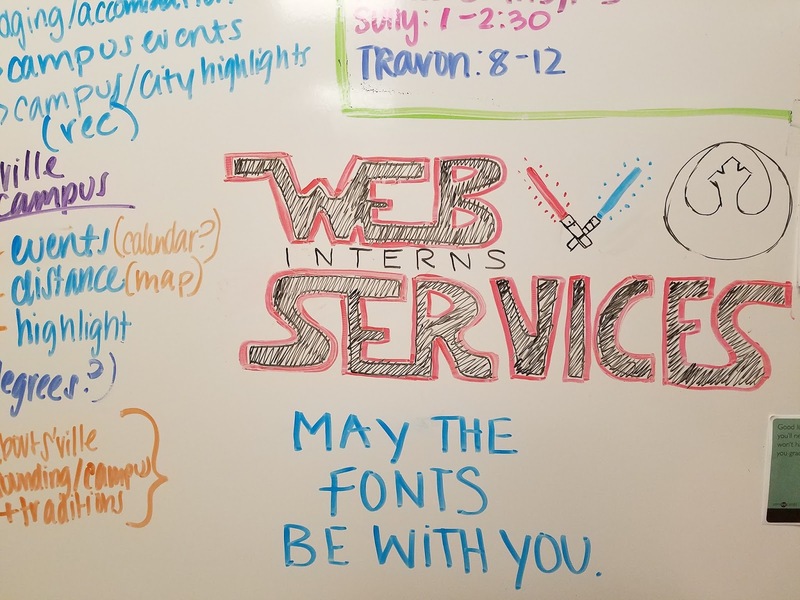 I learned so much in the year and a half while at Web Services such as team work, the importance of networking, web accessibility, a thing or two about design, and so much more that I plan to carry into my career. One of the things I enjoy the most about our office is how inclusive and welcoming we are of students from any major or concentration. Our intern room, or more commonly known as the “Intern Exhibit,” is always full of conversation in between tasks and projects. The diversity each student brings to the team certainly adds sugar and spice to the everyday life in our office. Even though I would find myself wondering how we made it from "Point A" to "Point T," because tangents and soapboxes were a special part of our conversations, I was grateful for the lessons we learned through those discussions. I loved the quality and wide-range of topics covered by our conversations because no matter the day there was always something to talk about. As my last day in the "Intern Exhibit" nears close, I get a sappy mix of emotions. After spending so much time with creative, hard-working, and unique individuals, you learn to love and appreciate all the little things with them. From extensive responsive training workshops with Karole to cookie and sweet tea runs at McDonald’s with the intern team to therapeutic in-office venting sessions about Cascade issues, we’ve been through it all together and that’s what counts. Selfie time with Daphne, Karole, Morgan, and myself! The opportunities for growth that came from working here, the people you get to meet, the relationships you get to foster and the lessons lived and experienced have been another building rock in my foundation. So yes, I will be departing at the end of June, but I have the unconditional support from this great group of individuals and I plan to make them proud. At the end of the day I can only say that I will really miss my Web Services family. So, today was one of those typical Thursday mornings where I head over to our conference room for our 8 a.m. student intern meeting....until I walked through the door and got surprised! 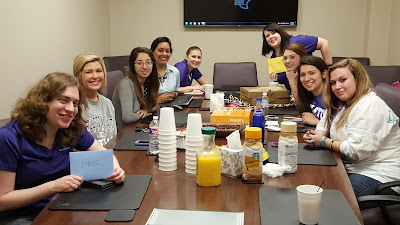 Our wonderful interns brought cake, kolaches, cinnamon rolls, fruit, coffee and juice to surprise the full-timers! And they gave us cards. :) So very sweet of them! Morgan, Karole and I appreciate our interns just as much (or more) than they appreciate us. They do so much great work for us and the rest of Tarleton, and if we didn't have them around we would not be able to get much done! We will have an opening for a student intern position beginning this summer. If you are a student at Tarleton and are interested in what we do and need a job, just email me at djhunt@tarleton.edu. Now hiring a Web Content Strategist! Web Services is now looking to hire a Web Content Strategist! The primary responsibility for the Web Content Strategist is to develop and implement content strategy for Tarleton websites, which includes information architecture, writing style, SEO, content reuse, web analytics research, user testing, UX, and metadata development. Train, inform, and engage web site constituents on content strategy and best practices. Mentor and work closely with student employees, which includes assigning web updates and tasks, identifying student employee strengths to maximize productivity, monitoring task progress, and providing feedback on content strategy. Ensure adherence of web content to style guides, branding guides, accessibility and copyright laws, TAMU System/THECB /State specifications. Identify opportunities for writing/editing content for the web, optimize print copy for the web, provide web writing expertise to the university community. 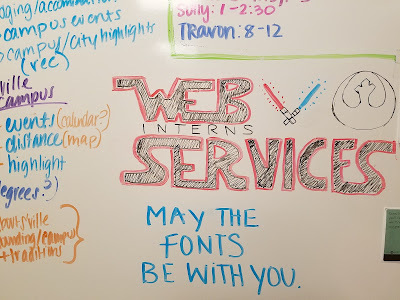 The Web Services team is creative and highly collaborative. Full-time employees enjoy a private office, convertible stand/sit desk, many restaurants within short walking distance, wellness initiatives/benefits, and more. 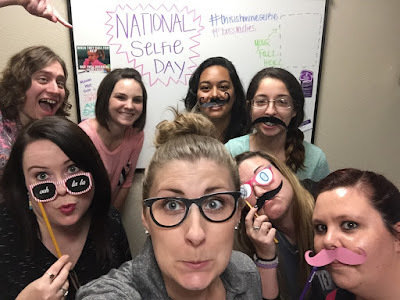 Tarleton State University, a member of The Texas A&M University System, provides a student-focused, value-driven educational experience marked by academic innovation and exemplary service, and dedicated to transforming students into tomorrow’s professional leaders. 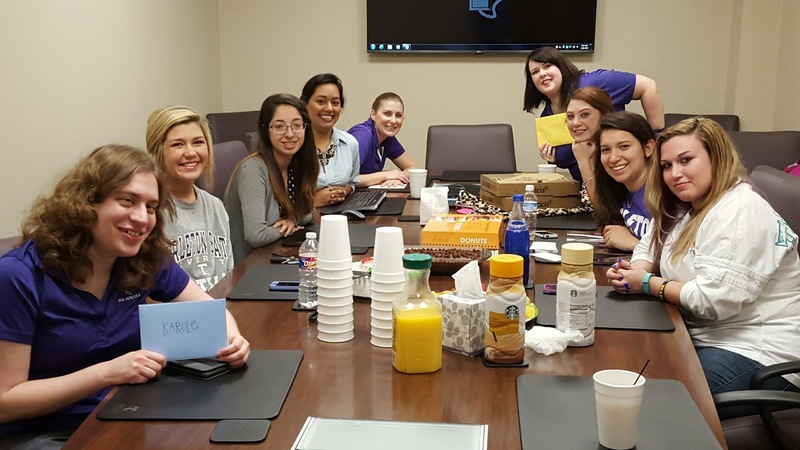 With campuses in Stephenville, Fort Worth, Waco, Midlothian and online, Tarleton engages with its communities to provide real-world learning experiences and to address societal needs while maintaining its core values of integrity, leadership, tradition, civility, excellence and service. 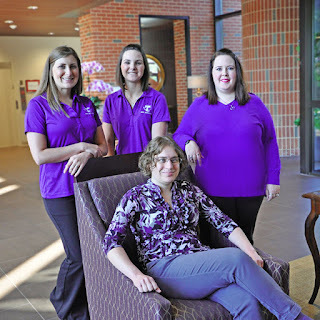 Web Services, Tarleton State University. Awesome Inc. theme. Powered by Blogger.